One night, not so long ago, I went outside to the backyard, just trying to distance myself from a particularly irritating set of mundane household frustrations. Seeking relief, I looked up at the stars. 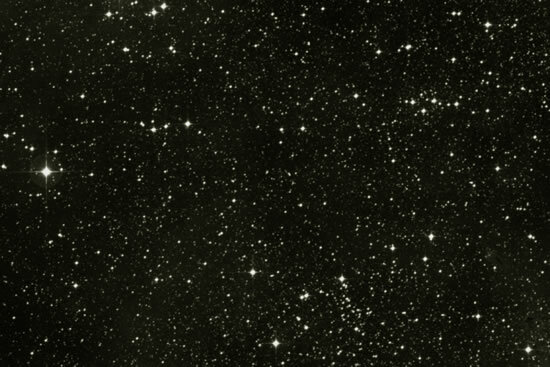 These were the same stars I used to look at with wonder as a child, when I would spend hours imagining all the possible worlds that orbited distant suns out there, all the strange variations of life, and the fantastic civilizations that might exist. When I was a teenager, I used to stand under the stars and beg for something to happen, for an alien spaceship to come out from amongst those stars and get me, take me away from the small, boring, insignificant life I had, break the chains I could already feel binding me to an ordinary, tedious future, and show me all the wonders of the universe. Then, once I was out and on my own, I stopped looking up much at all (far too busy making a paycheck for that), and the stars receded into a beautiful, but flat, backdrop. Years passed, and I finally reached the point where I would look up at the stars, and found that I resented them. They represented the universe, after all, and the universe was no friend of mine. Not a universe that kept me trapped and feeling miserable, not a universe that did nothing while I struggled so pathetically, not a universe that I had actually come to believe was conspiring against me. It felt like the stars were only there to mock me, make fun of my pain, and taunt me with the reminder that I was stuck down here, hopeless and alone, while they were up there, far beyond my reach, living it up. But this night was different for some reason. Oh, I was still frustrated and feeling empty inside and at a loss for what to do, where to go. I had exhausted my ideas, and exhausted myself. 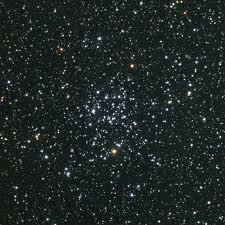 I looked up at those stars and felt the same old remorseless laughter in response to my puny human problems. But I remembered how I used to see the stars so differently, how they had once been filled with so much hope and wonder, and it made me ask a question I had not yet dared to ask myself: So, who was wrong? The me I used to be, or the me I am now? The stars themselves hadn’t changed; they were almost the exact same stars in every measurable way that I had been looking at all my life. Clearly I was the one that had changed. But had I changed for the better, or for the worse? After all these years, had I grown wiser, or had I only grown more foolish? Of course I knew the answer, even without admitting it. And that led to more questions. Was it possible that my whole way of looking at the world was fundamentally flawed? Could it be that the pervasive sense of lack I was experiencing in my life was merely a perception, and didn’t represent the actual working reality of the universe? Was it possible that I was wrong, and all those things that I felt I lacked: work I loved, the opportunity to do the things I wanted to do, money, and most of all, the time to do anything about it, were really the result of a terribly misbegotten focus, a choice I had somehow unknowingly made, instead of the natural order of things? And if I was wrong, what did it mean to be wrong? If the universe wasn’t my enemy, if it wasn’t actively seeking out chances to thwart me at every turn, or to punish me for continuing to cling to my ratty old dreams, if it wasn’t responsible for the helpless sense I had of things never going my way, then what kind of universe did I live in? A neutral universe, empty? The kind that doesn’t pay attention to you, and conversely doesn’t require that you pay attention to it? In other words, the universe of my twenties, when I believed that I made myself, and that my will, my mind, and my hands were responsible for everything good that happened to me? The stars as simple stage scenery? Or was it possible that I had it right as a kid, when I saw something more out there: hope and wonder and beauty beyond my ability to encompass? Was it possible that I lived in a universe that was not forlorn or expressionless, not antagonistic or cruel, but seething with boundless life? I sat there under the laughing stars, and thought about how I could prove to myself that this was true. What concrete evidence could I provide myself that I lived in a universe not defined by lack, but by its very opposite, abundance? Oddly, the first thing that came to my mind was books. Well, for a writer, maybe that’s not really so odd. I thought about all the great books I’ve read, and then I thought about how I could spend the rest of my life doing nothing but reading great books; and yet, no matter how old I lived to be, there would still be an uncountable stack of great books left unread. And I realized that that was a kind of abundance. That led, naturally enough for me, to movies. I thought of all the great movies I’ve seen in my life, and how I could never possibly hope to see all of the great movies ever made, even if I made it the all-consuming passion of my life. And how that is abundance, too. I thought of all the places I’ve been: Monterey, and Plymouth, and Sault Ste. Marie, New York and London and Paris and Rome, and Reno and Boise and Anchorage and Whitehorse and Durango and Marshfield and Burlington, and so many more that I am suddenly embarrassed, and slightly ashamed, to continue listing them. And how all of them together represent only a fraction of a single percent of places to be in this world. Abundance. I thought of all the great music I’ve heard, songs that have affected and resonated and taken up residence in me and are as personal to me now as my own face; wonderful, beautiful, infinite varieties of music. Abundance. I thought of how many astonishing inventions I’ve seen, and how many more inconceivable amazements are to come. Abundance. I thought of all the magnificent works of Nature that I’ve looked upon with wild wonder: streams and rivers and lakes and oceans, plants and flowers and trees and forests, insects and reptiles and fish and birds, pebbles and rocks and canyons and mountains. Abundance. I thought of all the people I’ve witnessed acting with kindness, generosity, and selflessness, and then all those that I failed to notice, and all those that are happening right now in the lives of each one of us. Abundance. I thought about all the people I love, and how much I love them, and yet how many more my heart could hold. Abundance. And then I looked up, and saw the stars again. Abundance. 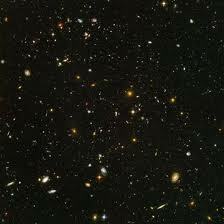 Thousands upon thousands of suns in the sky, and a million worlds in the universe for every star that I can see. Abundance that exceeds the mind. The stars laughed again, and this time I laughed too. It is interesting, isn’t it, that we are shown those scattered fistfuls of diamond-dust only at night, when it is darkest, when our fears are strongest, and our doubts are at their most potent? When we crave reassurance, and we don’t know where to turn? The stars are there, eternally there, every day, literally surrounding us, ready to remind us, and still somehow we miss it. We live in abundance, not in lack. Abundance is born of love, and the law of the universe is love. We play in piles of riches, and think it dirt only because there’s so much of it. So the stars are always there, oblivious and aware, but always laughing, laughing, laughing. And each of us must decide for ourselves why. We play in piles of riches, and think it dirt only because there's so much of it. Wow. That's an amazing quote! One of my psychology profs tasked about how important the stars in the sky were for perspective. How important it is for us to feel small sometimes and recognize that we are just a tiny part of this massive world. I just wish I could see more of them without bring drowned out by the city lights.